The NBCA Cheerleaders are making history! On November 18th the NBCA Cheerleaders competed in the UCA Southwest Regional Championships. They did a great job at their first competition of the year and earned a 4th place showing in their division. 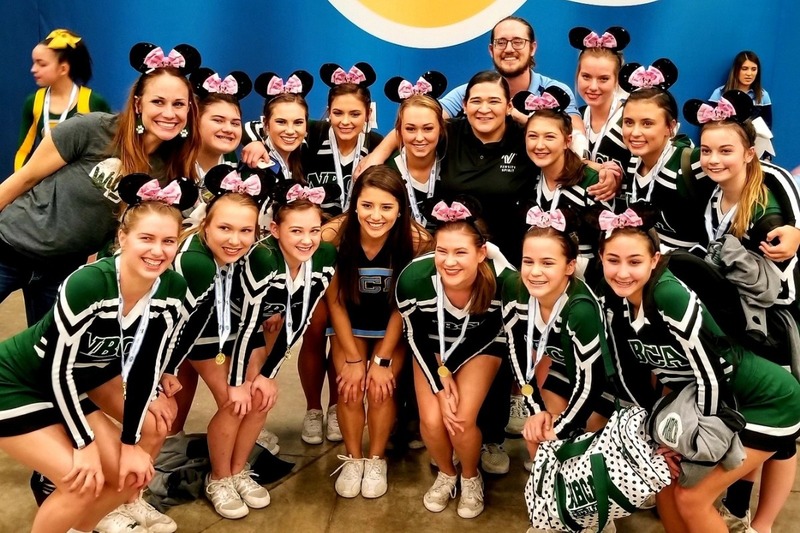 In addition, they were selected to be one of the teams to compete at the UCA National Competition in Orlando Florida in February of 2019. They will compete against schools from all over the nation in a showdown of stunts, jumps, dances and cheers that they will be working to perfect over the next several months. In order to make to Orlando they need your help! Please consider supporting this hard working group of young ladies with the costs associated with getting to Florida, and competing in the national competition for the first time in the school’s history. All donations will go directly toward the costs associated with air fare, hotel accommodations, and competition fees. Let’s get behind our NBCA Cheerleaders and get them to NATIONALS!